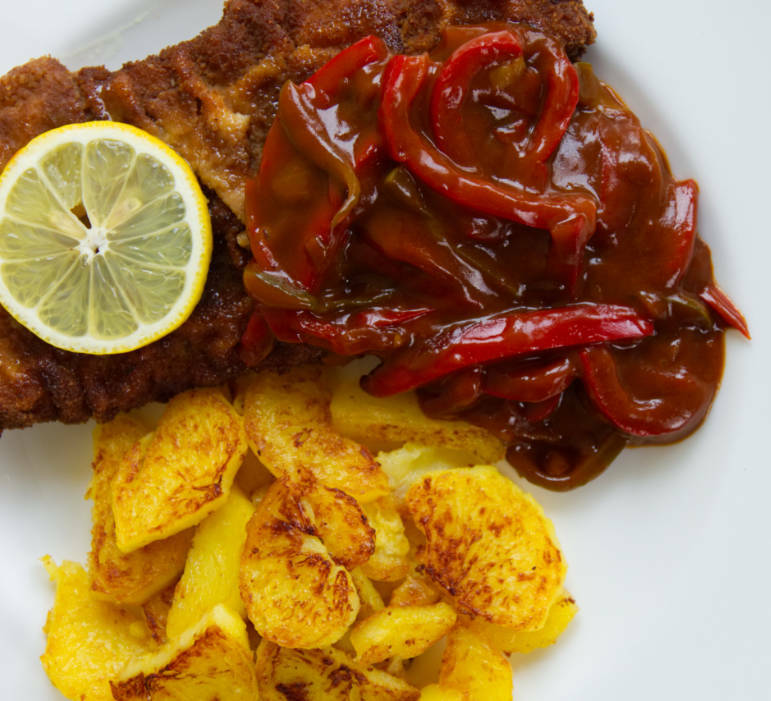 If you are going to Germany and want to try their German schnitzel you need to know that there are different ways of serving this German speciality. 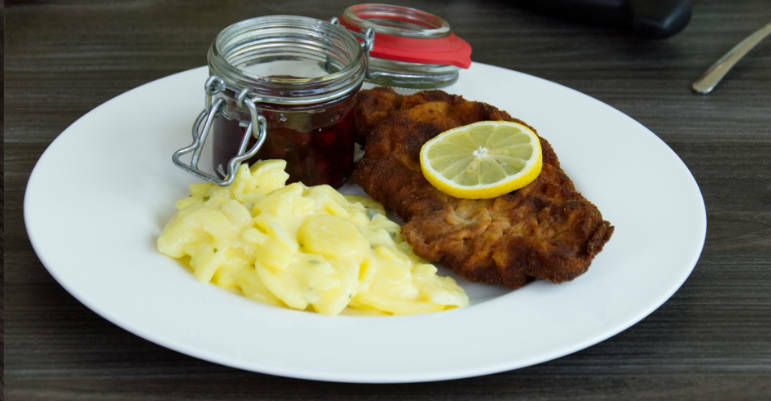 In this post you will find 8 different schnitzel variations that you can find in the german restaurants. Schnitzel is a slice of meat, usually thinned by pounding and breaded in flour, beaten eggs and bread crumbs. Schnitzel is usually fried in some kind of oil or fat. It is a very popular dish in a lot of countries in the world but it did originate in Austria. 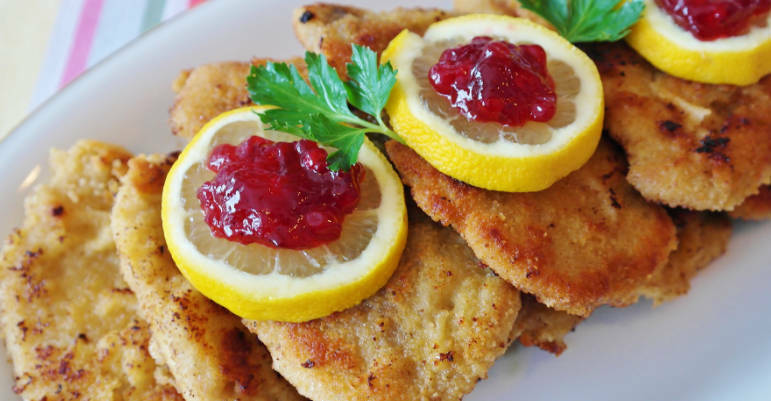 Schnitzel can be made of chicken, veal, beef, mutton, pork or turkey. The king of the schnitzel is called Wiener Schnitzel, so Viennese schnitzel and this is a veal, four millimeters thin, breaded and fried. Usually it is served with a slice of lemon, potatoes, cucumber salad and some cranberries. In Germany, you can find pork versions of the schnitzel but obviously, they’re not allowed to be called Viennese schnitzel. They are called Schnitzel Wiener Art, which means Viennese style schnitzel, so if you see Viennese style schnitzel in the German restaurants, that would mean that the schnitzel is made out of pork. Schnitzels in Germany are served in a very particular way. Most of them are served with wonderful sauces. The first one I would like to mention is the Rahmschnitzel, which means schnitzel with a cream sauce. Usually it is served with potatoes and a side salad. The next schnitzel I would like to mention in this video is Jägerschnitzel, so Hunter’s Schnitzel. 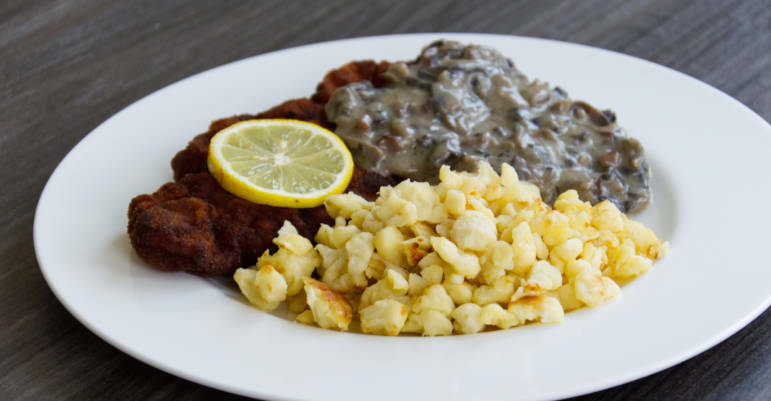 Jägerschnitzel is served with a beautiful creamy and mushroom sauce. In some regions of Germany it is not breaded, so just have a look at the menu and make sure if you’re ordering this what you really want. Zwiebelschnitzel comes with fried onions on the top or a fried onion sauce. I think it’s my personal favourite. 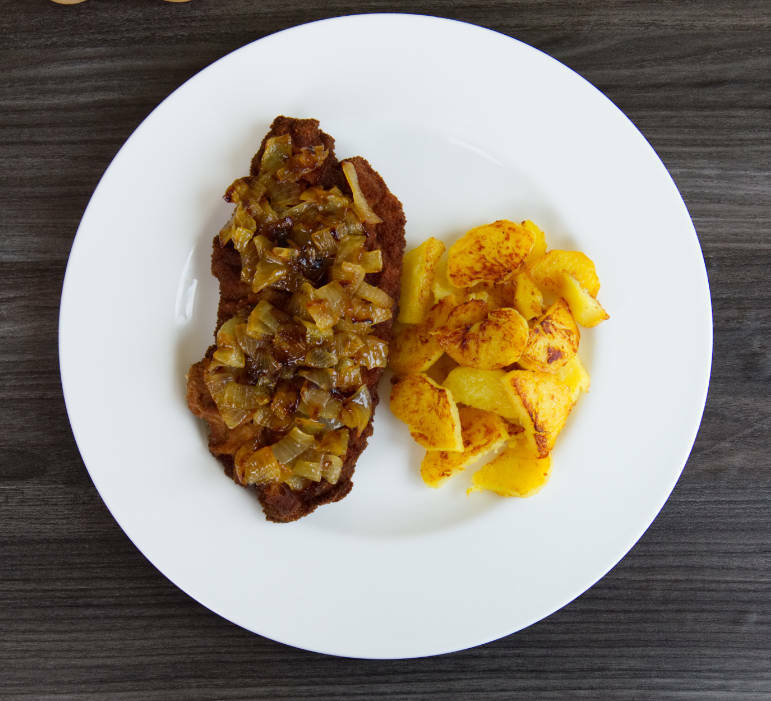 The fifth one on my list is Zigeunerschnitzel which translats to Gypsy Schnitzel, and this one is served with a gipsy sauce that contains tomatoes, bell peppers and onions. This one can also be called, and it might even be spicy. 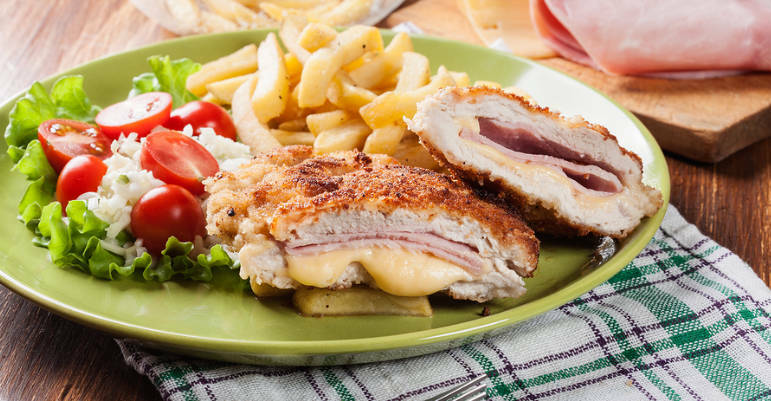 The next very important schnitzel to mention is Schnitzel Cordon Bleu. This speciality has a slice of ham and cheese inside it. The name of the schnitzel sounds very French but the schnitzel was actually made in Switzerland by a German chef. 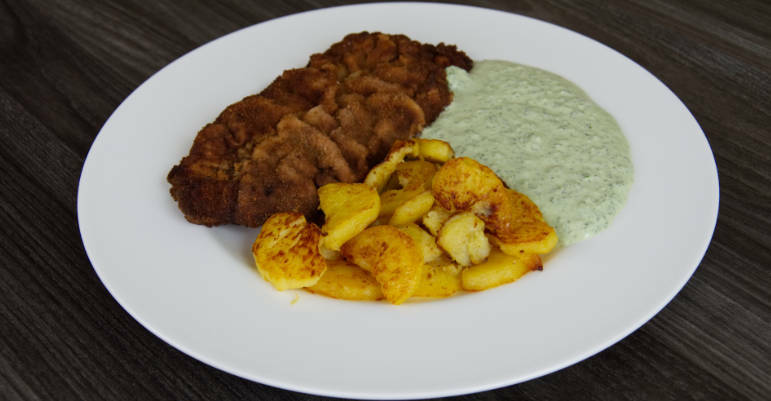 The first recipe of the schnitzel a slice of meat in the cookbook written by the German cook Harry Schremli in 1949. Another two variations of the schnitzel I would like to mention are one from Frankfurt and one from Munich. This one from Frankfurt is served with Frankfurt green sauce, which is the first dish that you’re going to need to try on your trip to Frankfurt. The Munich one’s got a very interesting way of preparation because of the variants. Before breading it, put a bit of horseradish and sweet mustard on it. That surely is going to be the first thing I’m going to try on the trip to Munich. 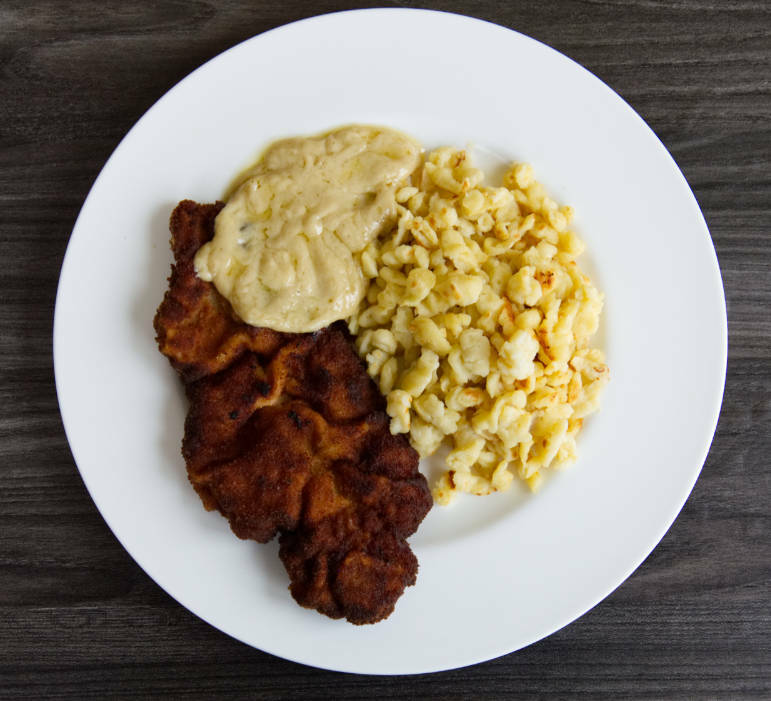 There are more regional modifications of this dish, so if you know what city you’re going to visit here in Germany I would just Google and see if there’s a particular variation of the schnitzel that is served in that particular city. After seeing all this, I am sure that you did make your mind up, so please let me know in the comments down below which schnitzel you would like to try in Germany.